Herne Bay councillor, former Sheriff of Canterbury and magistrate Ron Flaherty has died aged 70. The Liberal Democrat had represented the Heron ward on Canterbury City Canterbury since 1991 and was well-known for his sense of civic duty and commitment to constituents. Cllr Flaherty passed away following a short battle with cancer at 7.40pm on Thursday evening at the house in Station Road he and wife Margaret had recently moved into after years of living in Central Parade. His family and friends were with him. Ron was one of a kind. A magistrate, councillor and tireless campaigner for Herne Bay, Ron was known by everyone and loved by many. We are all devastated at his passing and our thoughts and love are with his family. After a lifetime of public service Ron learned shortly before Christmas that he had cancer. Herne Bay and all of us have lost a dear friend. [pullquote]He was one of those people who would always pop in and chat, regardless of our differences… council leader John Gilbey[/pullquote]Cllr Flaherty was born in Rutherglen, Lanarkshire, in 1944. He studied economic history and social administration at the University of Strathclyde. He and Margaret married in 1972. 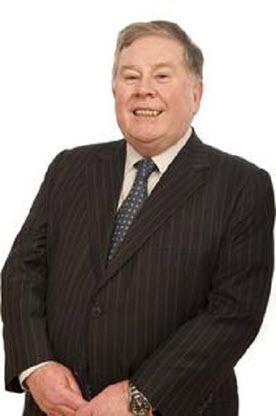 Cllr Flaherty worked first as an administrator at Heriot Watt University in Edinburgh and then transferred to Kent University in 1973, where his work included setting up undergraduate recruitment to the university and later recruiting foreign students. After his election to the council in 1991, Cllr Flaherty chaired various committees including licensing, general purposes, performance review and the Herne Bay area member panel. He also sat on police, transport and regional government panels and was Sheriff of Canterbury in 1993 and 1994. I’ve known Ron for a long time. We were both magistrates. We worked together and I greatly-appreciated all his knowledge and his abilities in the magistracy. He was very much into the family side of the court and I fully supported and have great respect for everything he worked for there. On the council side, of course we were from different political outlooks. But he was one of those people who would always pop in and chat, regardless of our differences. There were always occasions when we disagreed but when it happened we were able to resolve them between us, and that was rare. He was a spectrum politician. I always joked that he was a closet Conservative and why didn’t he make the move.